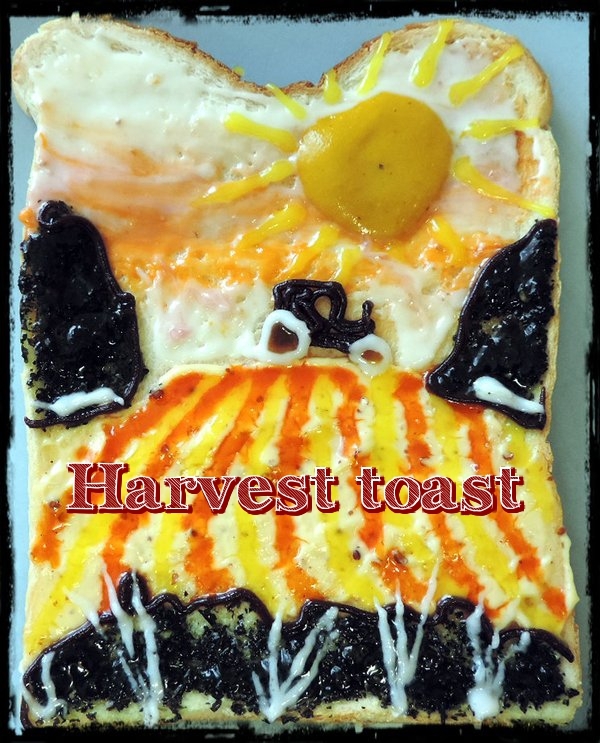 Toast is one the UK’s best loved foods and one that holds a special place in our hearts. 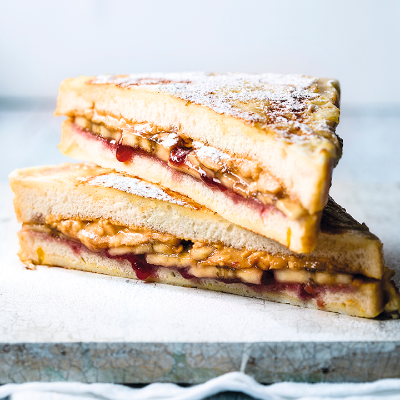 Impress your guests (or just yourself) with these easy and ever so yummy toasties! Preheat the oven to 200°C/400°F. Using a pastry cutter that is slightly larger than the goats' cheese rounds, cut a circle from each slice of bread. Brush the bread rounds with a little olive oil, scatter with a few thyme leaves and season well. Place the bread rounds on a baking sheet and bake for 5 minutes or until crisp and a light golden colour. Remove the bread from the oven and spread 1 tsp pesto over half the rounds. 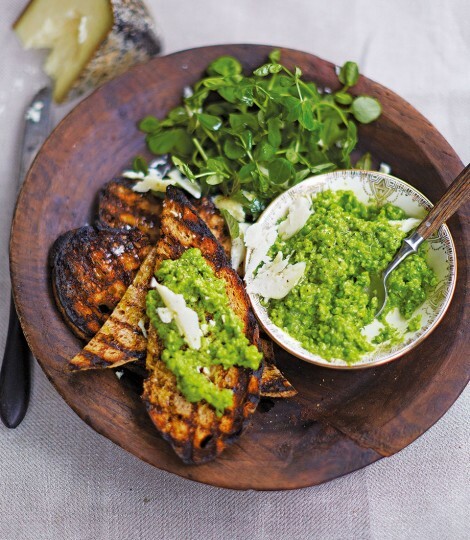 Divide the smoked trout among the pesto-topped bread, top with the cheese rounds and season well with black pepper. Top the cheese with the rest of the bread circles. Bake the toasties in the oven for another 5 minutes, until the cheese has just started to soften slightly. Remove from the oven and serve immediately with the cherry tomatoes and basil leaves for a delicious snack. 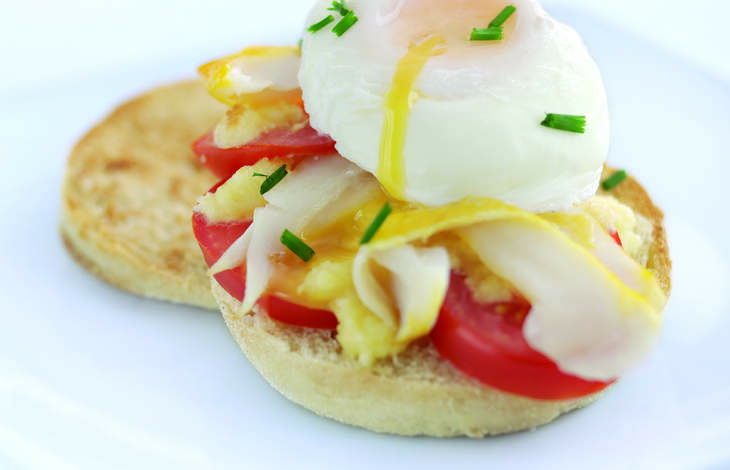 Just 3 simple steps to a tasty light lunch! Drizzle 4tbsp of the reserved olive oil from the tuna over the slices of bread. Place under a preheated grill for 2 minutes or until golden brown and crispy Place the chopped tomatoes, garlic and basil into a bowl and mix together. Top the bread with the tomato mixture then arrange the tuna on top of the tomatoes. Garnish with basil to serve. DO NOT be put off by having to make your own jam - it takes less than half an hour and is totally deeelish Heat the berries in a small pan (frozen of fresh) for 5 mins until they are warm and have started to break down Add the chia seeds and maple syrup Simmer on a low heat for another 10/15 minutes until all is combined Pour into a sterilized jar and eat within 2 weeks Simples! 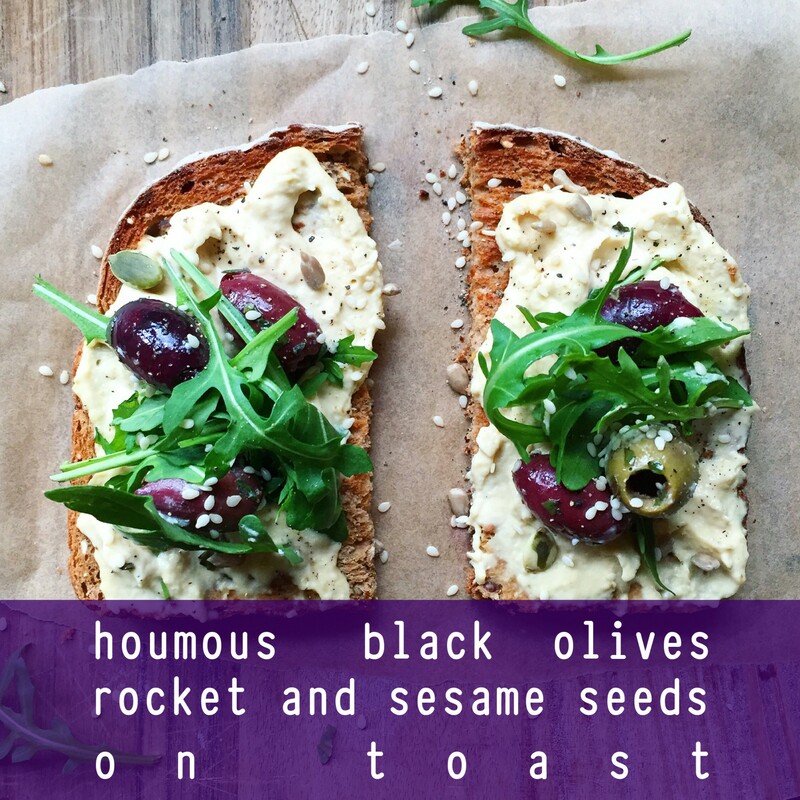 Houmous, black olives, rocket and sesame seeds on toast. A delightful way to remind you of holidays in the Greek Isles ... even if you've never been! If you haven't noticed, I have a slight obsession with houmous. It's so versatile and can be filled with all sorts of flavours such as lemon, garlic, pepper & onion. In this image I had simply added olives, rocket and sesame seeds, so a very Greek feel about this dish! I originally saw this idea on Jamie Oliver's Food Tube and at first and I wondered what all the fuss was about. However after trying it, it is my favourite small lunch to go to when in a hurry. 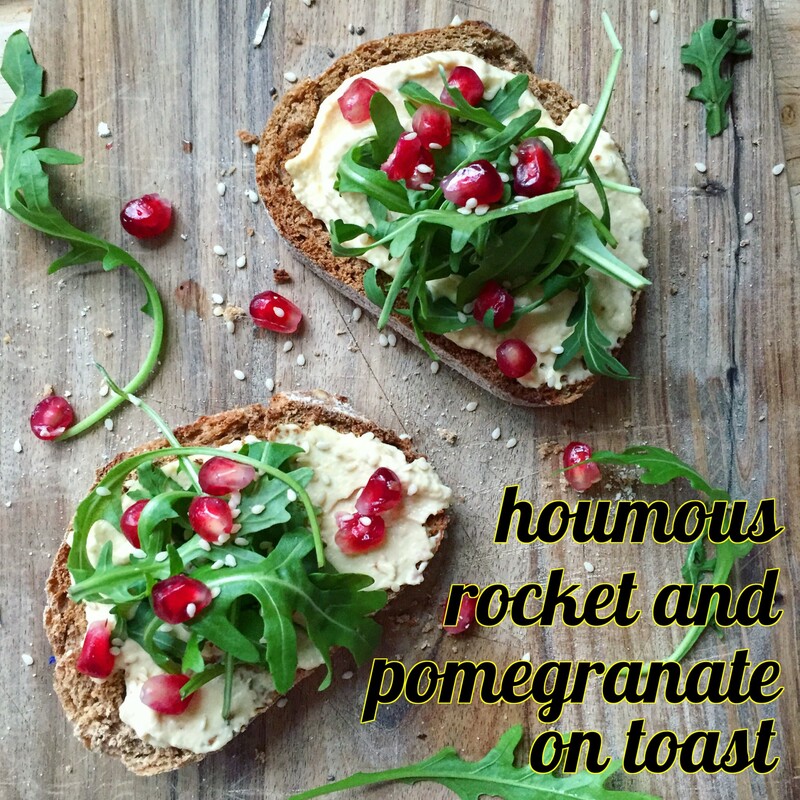 Houmous, pomegranate and rocket are always a staple in my kitchen as they taste so fantastic together. Try it! 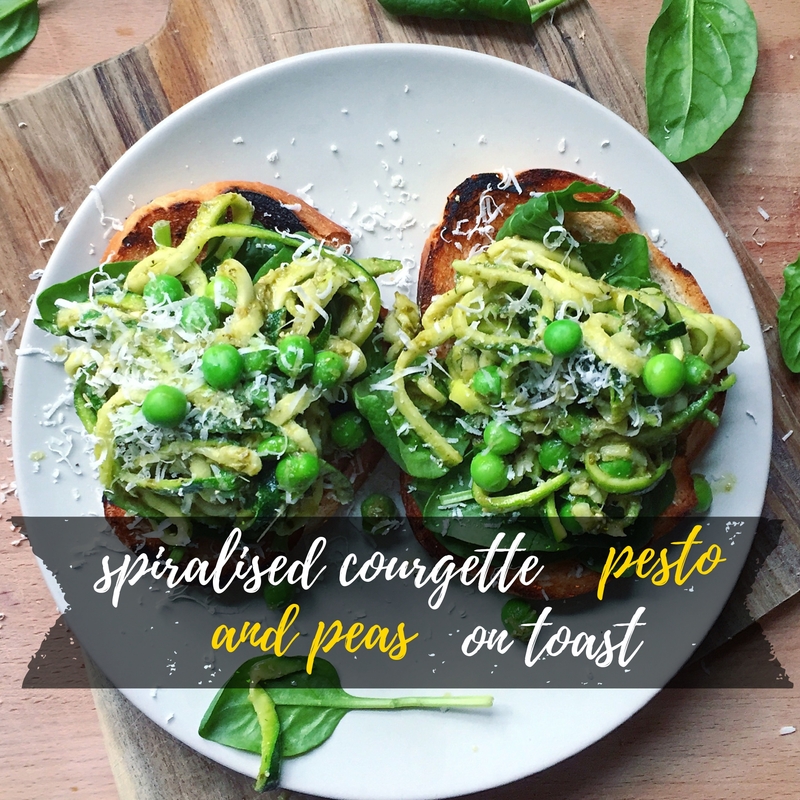 Move over avocado, here are other luscious green wares to have on our toast .... Spiralize 1 courgette, sauté in a pesto sauce for around 3 minutes just to heat really. Then add fresh garden peas (or place frozen peas in a mug of boiling water while you sauté the courgette). It takes just minutes to make, and gives you a plate of green yuminess! 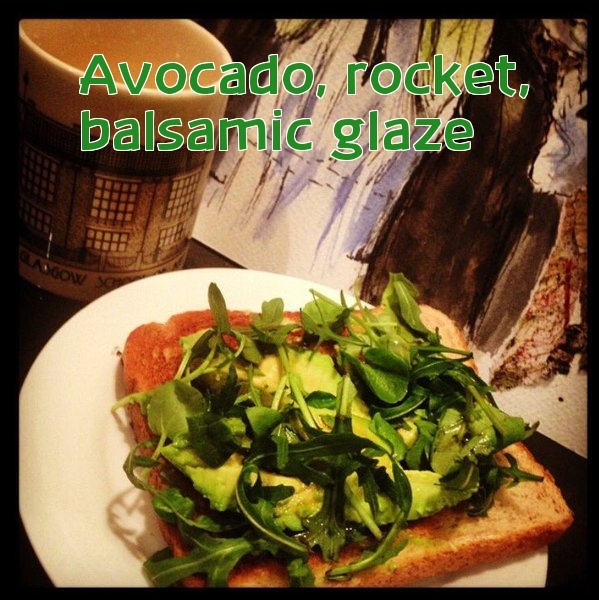 What better way to start the day of off than with the classic avocado on toast. 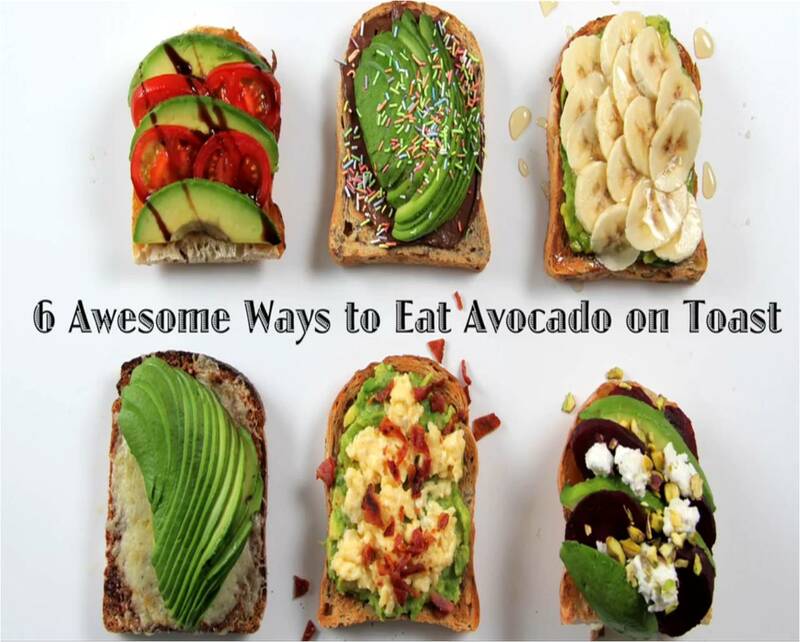 It seems every health fanatic and food blogger is going mad for avocado but with good reason! Packed with healthy fats, this green bombshell is a great way to fill yourself up. By ditching sugary breakfasts, and replacing it with healthy fats and carbs, you will feel fuller longer and won't be craving a chocolate bar by 10am. 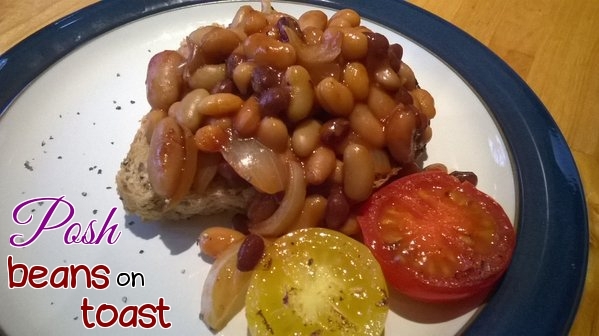 This is a perfect summer-time breakfast. Don't allow yourself to be put off by making your own 'jam'. It is no fuss at all, it takes just a few minutes and can be kept for up to a fortnight. 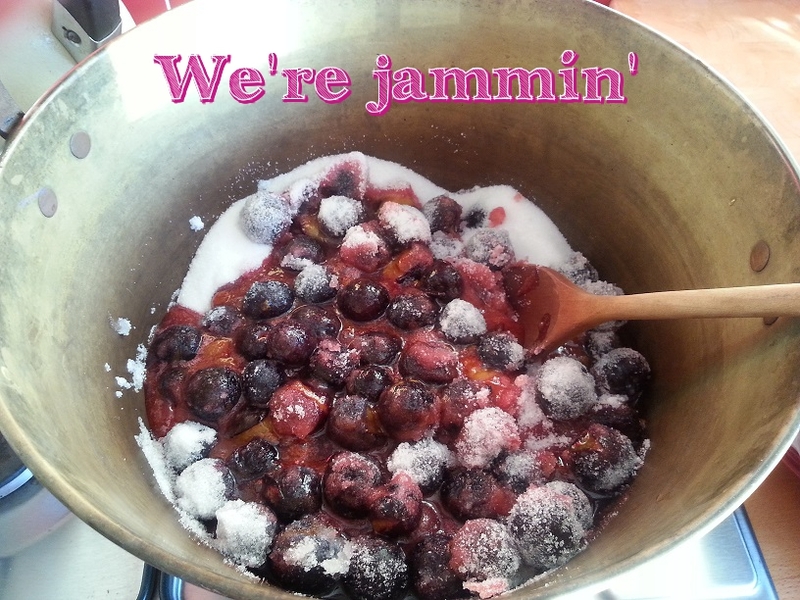 Here's how: Heat the berries in a small pan (can be frozen or fresh) for 5 minutes until warmed and start to break down. 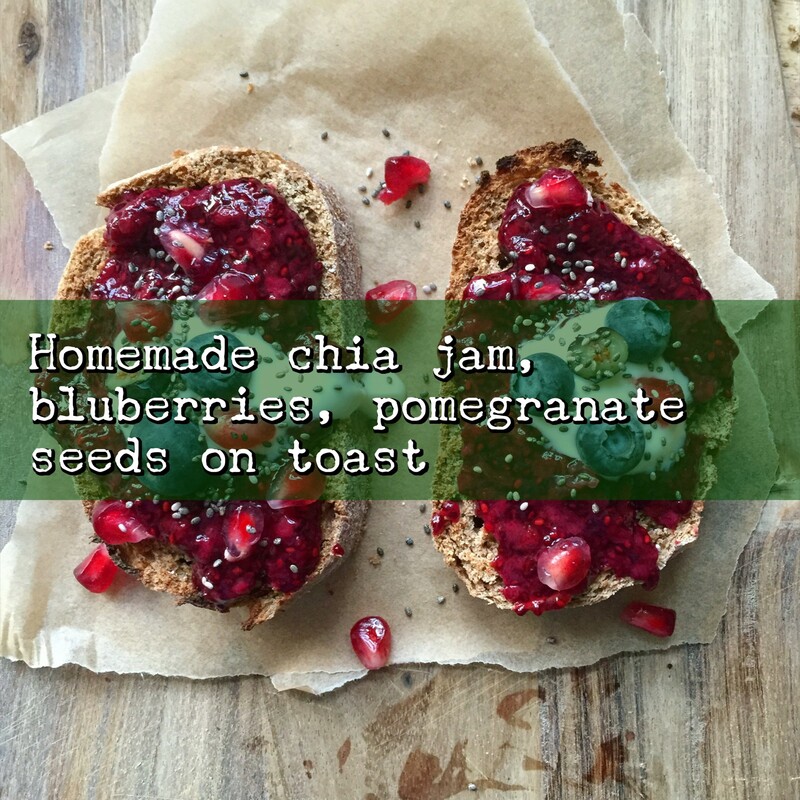 Add the chia seeds and maple syrup. Simmer on a low heat for another 10/15 minutes until all is combined. Pour into a sterilised jar and eat within 2 weeks. 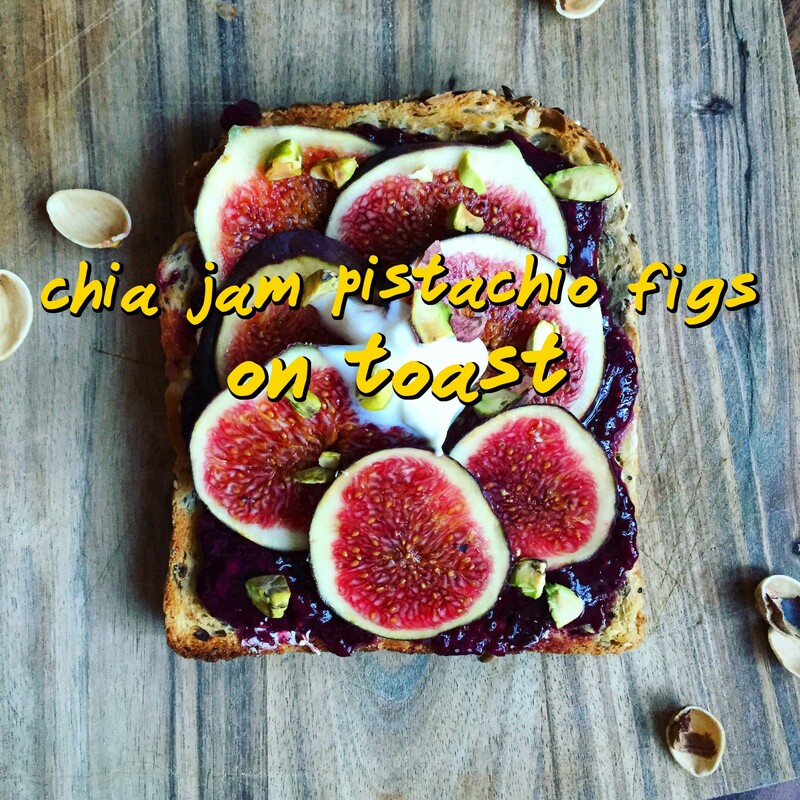 Add this delicious jam to some toasted wholemeal/rye bread, add the fresh figs then sprinkle crushed pistachios on top! For extra indulgence I add a dollop of Greek yogurt. 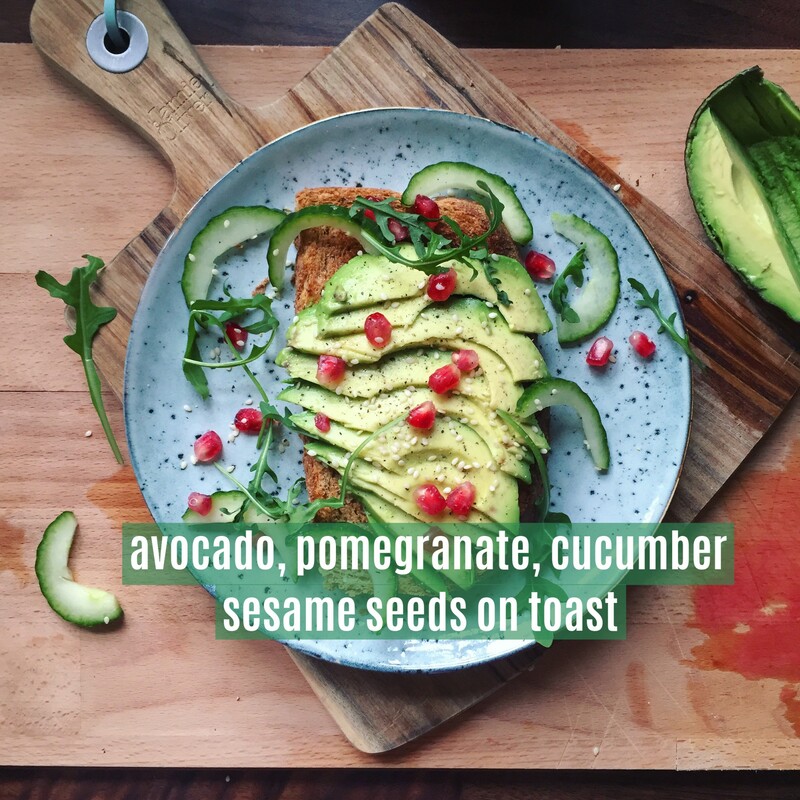 Houmous & rye toast are my favourite combinations, so by adding a few fresh veggies and herbs, it takes a boring slice of toast and transforms it into a delicious fresh tasting light meal. Takes literally minutes to prepare which is a really time saver when in a hurry! 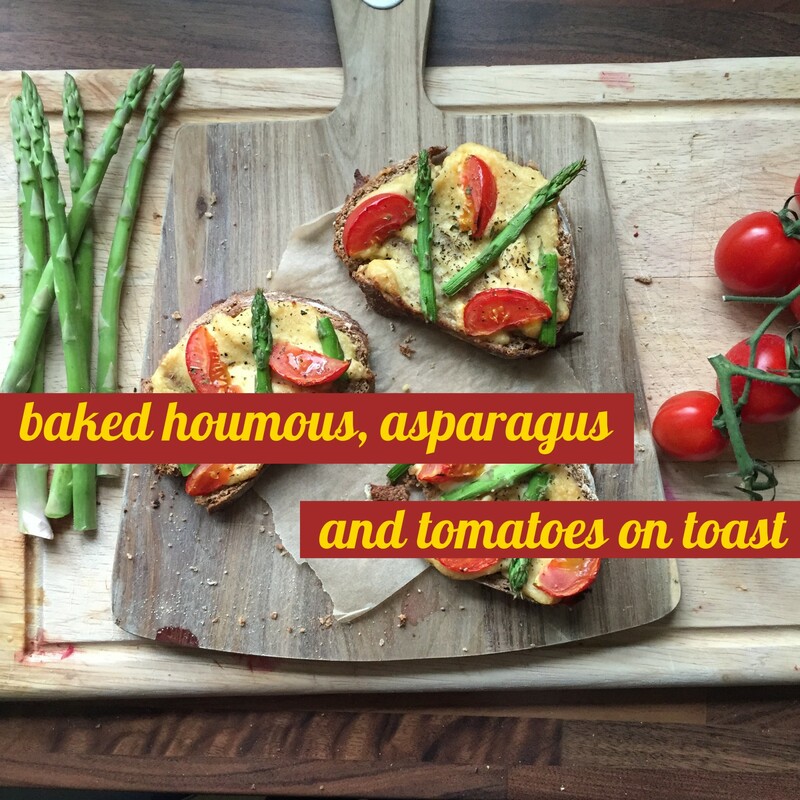 In a pan of simmering water, place the asparagus stems with the tips poking out, and steam for 4 minutes Griddle the slices of rye in a pan on a high heat (you can simply pop them in the toaster just as easily) Spread the houmous on thick (the best way) Chop the cherry tomatoes into quarters and add place onto the toast along with the asparagus Sprinkle salt, pepper & the mixed herbs and enjoy! There's something a bit Second-World-War about sardines on toast. But the truth is: they're delicious; they're simple to make; they're cheap; and they're ready in 5-minutes. What's not to love? 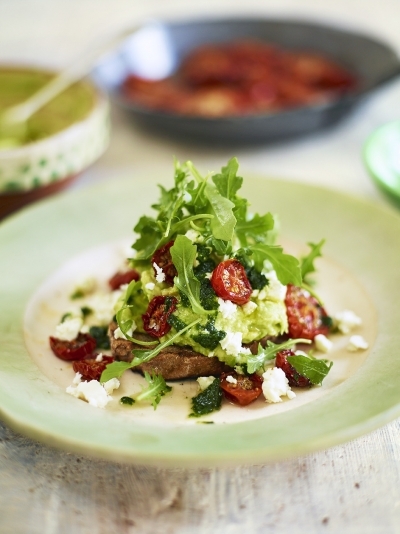 Six awesome ways to upgrade your avo on toast. Come on, what are you waiting for? While mushy peas might represent disappointing caravan holidays spent dodging the rain; a crushed pea dip is light and summery and reminds us that somewhere the sun is shining. A big thanks to April Bloomfield, chef at Spotted Pig, for her recipe that brings so much hope and promise. There are some things that can't be messed with; some things that can't be improved. 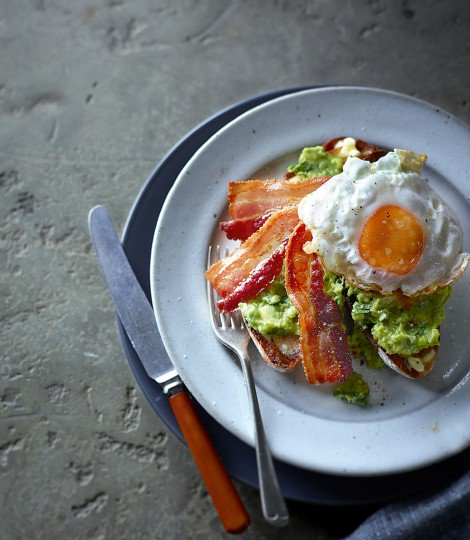 And the classic combo of avocado, crispy bacon and runny fried egg all perched atop a golden slice of toast is one of them. Thanks delicious. magazine for reminding us! Some weekends call for indulgence and enveloping oneself and one's loved ones in foodie-hugs. And this is the perfect recipe for such a time. Thanks Waitrose, for the brilliant recipe. 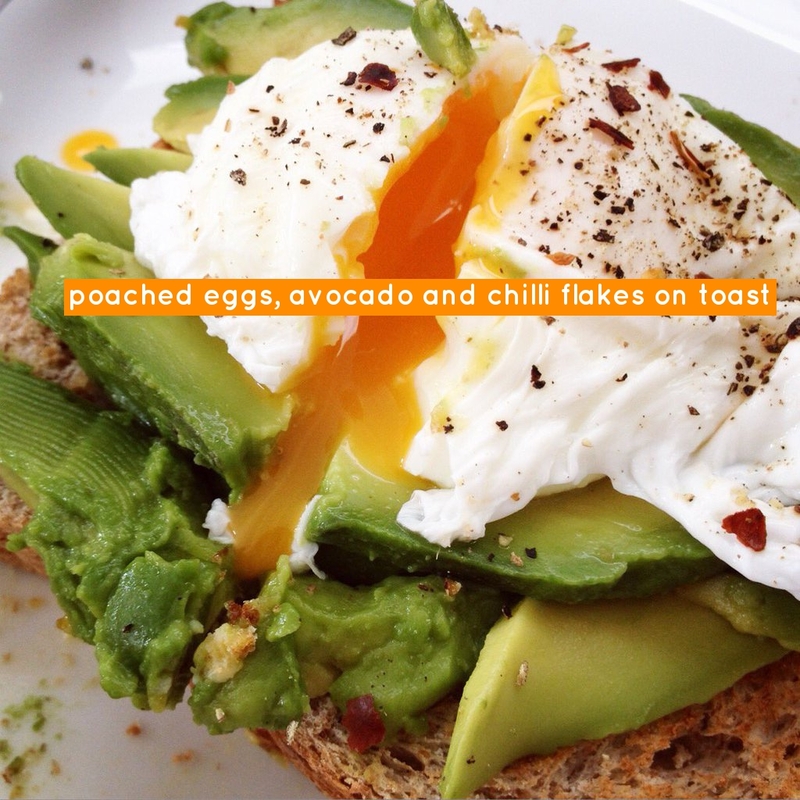 Forget avo on toast, that's so last year. 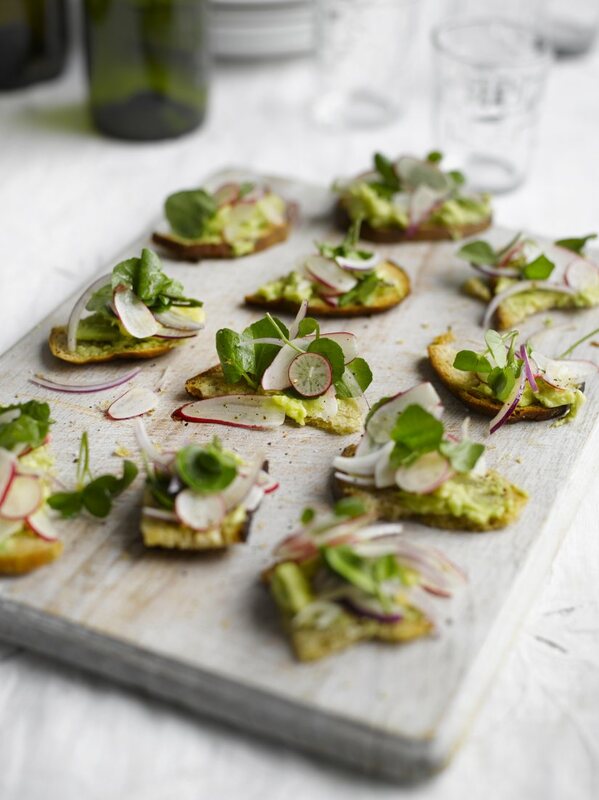 This year it's all about using under-utilised ingredients such as radish leaves and using big bold flavours, such as pickled chili or aged butter, to liven them up. 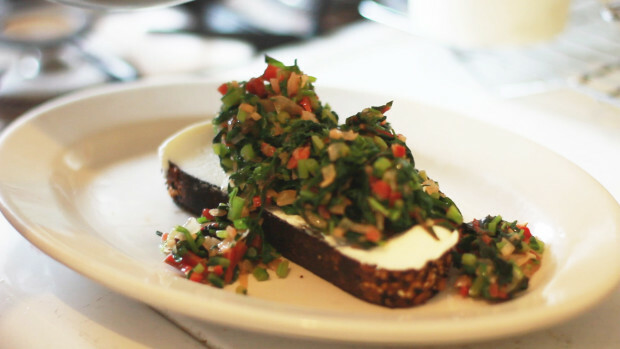 Watch the video from Bon Appetit and be the envy of your friends when you make some yourself. Wow! 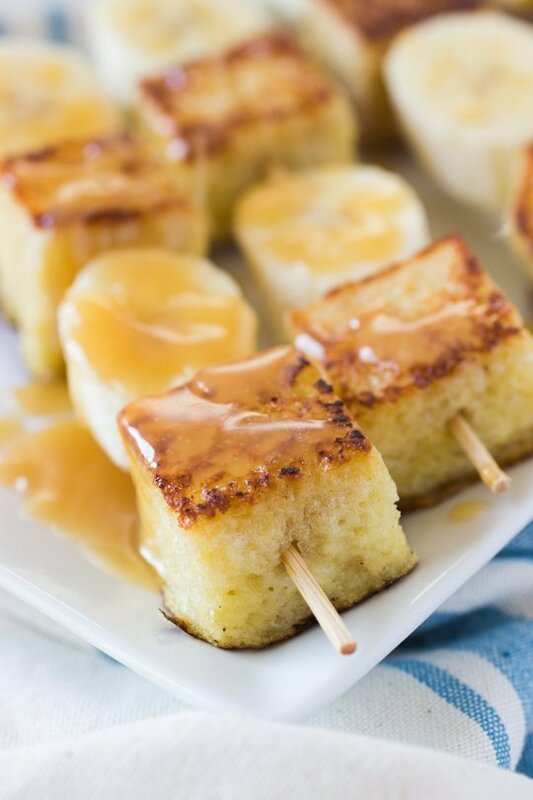 Make your French toast portable by popping chunks of it on a skewer, interspersed with slices of banana and drizzled in caramel sauce. Eating from a stick gives you a free hand to hold a cocktail. Bonus! The recipe, via The Kitchn, includes a recipe for homemade caramel sauce. 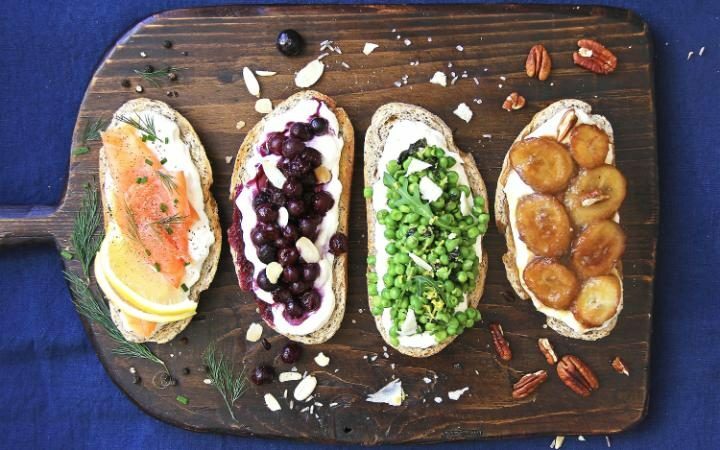 Who knew that whipped and salted ricotta, slathered on toast and crowned with vibrant toppings could taste so good? Using an electric whisk or a wooden spoon beat 200g of ricotta with a pinch of salt, leave in the fridge to thicken, overnight or for as long as you have the patience for, then garnish with your toppings of choice. 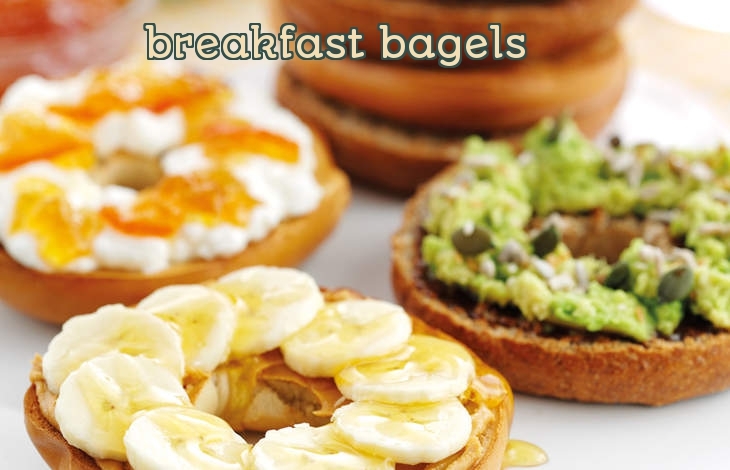 See The Daily Telegraph article for the full recipe, or just add anything you fancy. 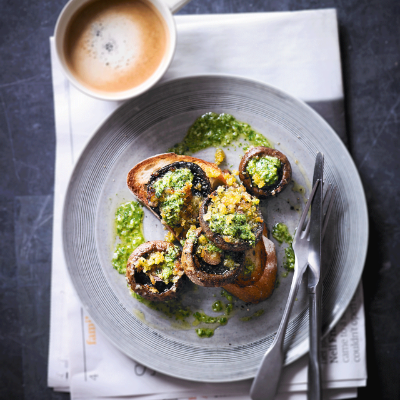 Jamie Oliver's take on Australian cafe-food is a perfect breakfast idea for a special occassion (Mother's Day is coming up folks!) | You can slow-roast the tomoatoes in advance | Why not make a big batch and keep some in the fridge to scatter over salads and add to pasta sauce. We all feel a bit nuts sometimes don't we? 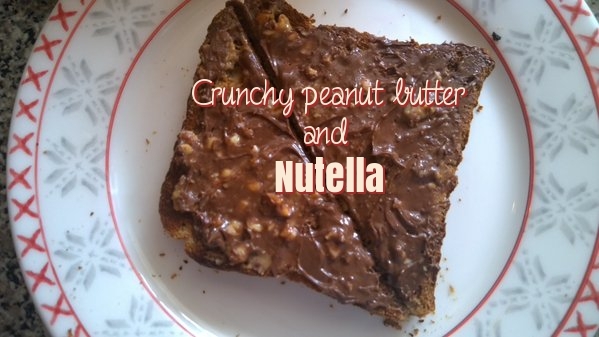 Claire shares her post for crunchy peanut butter on toast smothered with nutella. Nut-tastic Suzanne. 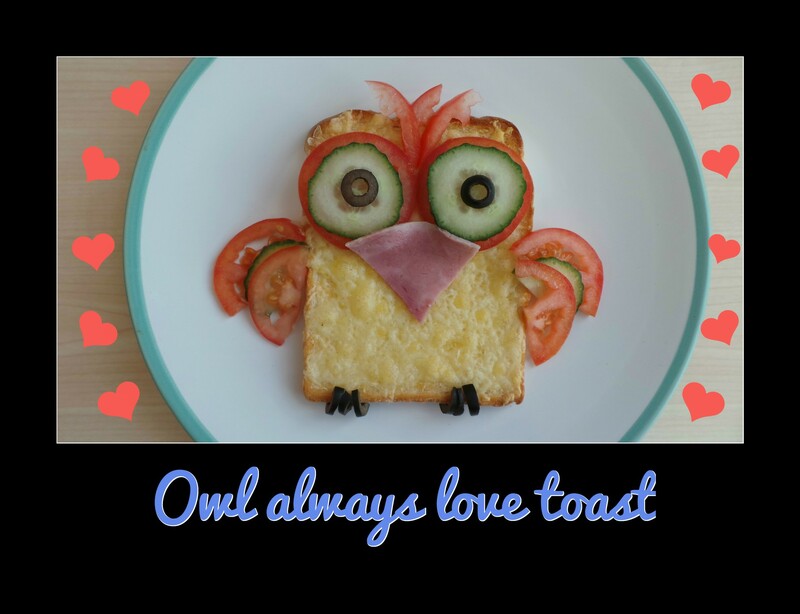 Roseanne is a night owl so she developed a delicious late-night snack to see her through the night. With cheese, ham, cucumber, tomato and olives. 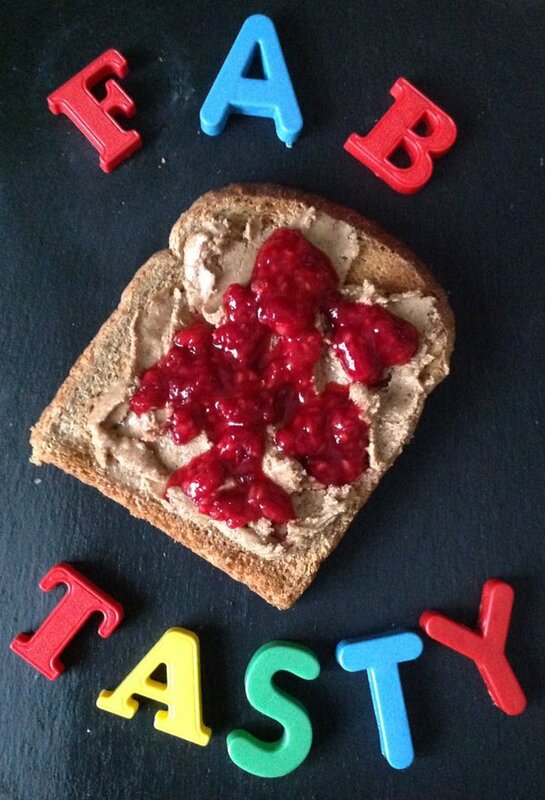 Metal cookie-cutters can take your breakfast to another level. 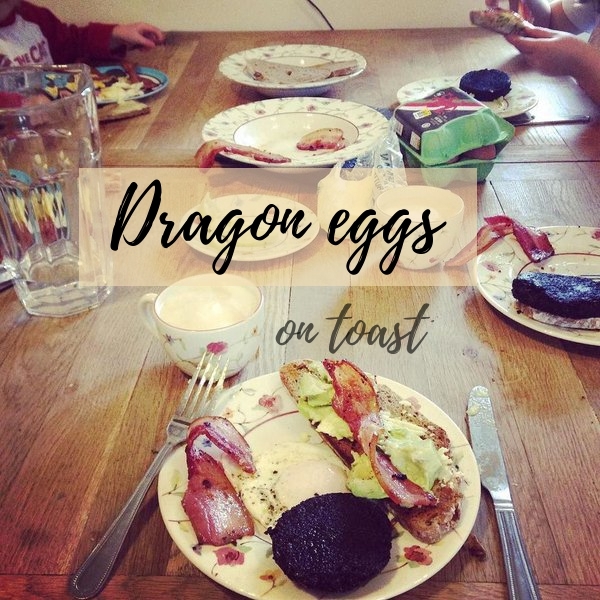 You can use them to cut your bread or as a mould to fry eggs in. 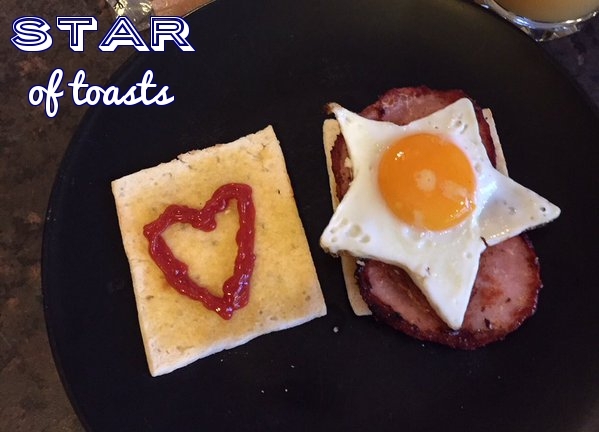 Toasted sandwich thins, bacon, red sauce and top with the star of the show ... a star-shaped fried egg! 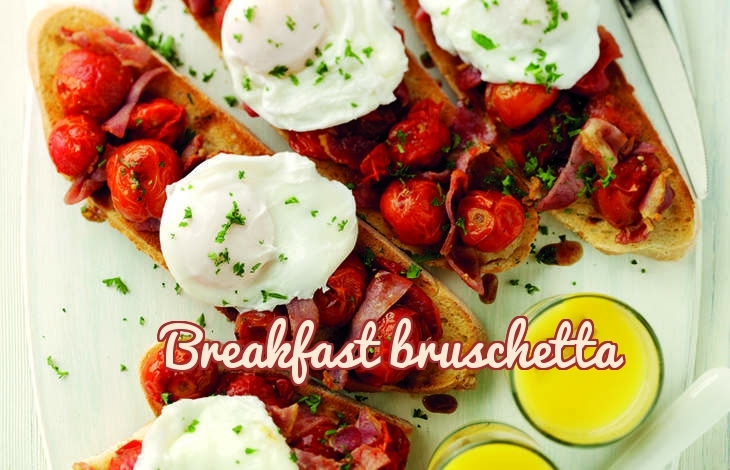 Sourdough toast, oven-roasted cherry tomotoes, bacon all topped with a poached egg. Divine You can also rub the toast with garlic before layering the rest of the ingredients.